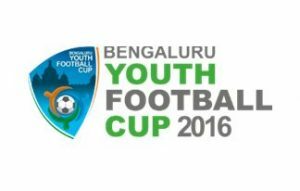 Home / Indian Football / General / Bengaluru Youth Football Cup kicked off in Bengaluru! A new competition for youth footballers in the 2016 Bengaluru Youth Football Cup, an inter-school Under-16 football tournament for boys and girls, kicked off earlier today at the Bangalore Football Stadium in which a total of 61 school teams (52 boys, 9 girls) are taking part. The Bangalore District Football Association (BDFA) has partnered Footieculture India to organise and run the tournament which according to the organisers is designed to provide an unforgettable experience of football and fun both on and off the field for the kids. Footieculture founder Preetham Chandra said, “Football can play a huge role in the health and development of children and with football as a passion spreading at an extraordinary rate I am sure that this game can progress into well-founded careers for the youth. I have been lucky enough to witness brilliant sporting talent amongst our youth, which is why Footieculture aims to provide the platforms for these children to grow and showcase their talent hopefully on a world stage. With the tireless efforts of KSFA and BDFA in the development of football in the state, and for the opportunities they provide for organisations such as us, we can see a brilliant future in the global football arena. Previous rs1tv VIDEO: FC Remscheid win tough away game 3-2 at SC Reusrath! Next VIDEO – 442oons: EPL & Bundesliga weekend action!